ARLINGTON – The Trinity River Authority board approved an option agreement with the San Jacinto River Authority Monday for the sale of up to 50,000 acre-fee per year of water from Lake Livingston. The SJRA board previously approved the same agreement March 28. The agreement represents a key step toward fully implementing the State Water Plan, establishing up to a 15-year option period for the two river authorities to complete all steps – including necessary approvals for an inter-basin transfer – that will move water from Lake Livingston to Lake Conroe. The agreement requires the payment of an annual option fee equal to 5 percent of TRA’s approved raw water rate. For 50,000 acre-feet of water at TRA’s current rate, the option fee is approximately $238,000 per year. At a future date, TRA and SJRA will determine appropriate timing for the delivery of water from Lake Livingston to Lake Conroe. Created by the Texas Legislature in 1937, the San Jacinto River Authority is a government agency whose mission is to develop, conserve and protect the water resources of the San Jacinto River basin. Covering all or part of seven counties, the organization’s jurisdiction includes the entire San Jacinto River watershed, excluding Harris County. SJRA is one of 10 major river authorities in Texas, and like other river authorities, its primary purpose is to implement long-term, regional projects related to water supply and wastewater treatment. 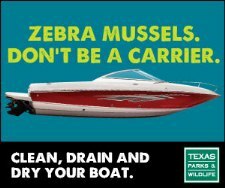 For more information, visit www.sanjacintoriverauthority.com. The Trinity River Authority of Texas is a conservation and reclamation district providing wastewater and water treatment, along with recreation and reservoir facilities, for municipalities within the nearly 18,000-square-mile Trinity River basin. Each TRA operating project is an independent financial entity, and TRA receives no tax revenues or appropriations. For more information, visit www.trinityra.org.